This June, YouTube Originals will release State of Pride, a documentary examining what Pride events mean to contemporary young people, 50 years after the 1969 Stonewall Uprising. 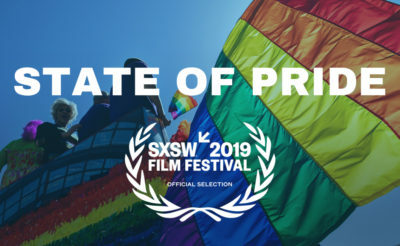 LGBTQ Nation watched the documentary at the SXSW 2019 Festivals and Conferences and spoke with its creators—Oscar-winning filmmakers Rob Epstein (The Times of Harvey Milk) and Jeffrey Friedman (The Celluloid Closet)—and its narrator, 28-year-old LGBTQ activist Raymond Braun. Braun himself grew up in a Ohio town of fewer than 900 people. The first gay man he saw on TV was Matthew Shepard in a news report about his murder. Because many queer people now live in big cities with accepting families and friends, Braun says, it’s easy to forget the fear many people still feel about coming out. In the film, Braun speaks with a diverse array of mostly young Pride goers from three U.S. events: a fledgling Pride celebration in red-state Tuscaloosa, Alabama; a weekend-long Pride event in the liberal cradle of San Francisco, California; and a Pride event in the Mormon stronghold of Salt Lake City, Utah. Some attendees share their passing thoughts on Pride’s controversial aspects: namely its over-corporatization and centering of white cis gay men. But the interviewees mostly discuss its personal importance to them. A handful of interviewees around Tuscaloosa say that a local Pride celebration is long overdue, and its themes of acceptance and community will make them feel less alone. In the film, Carson, a disabled gay man from Salt Lake City, calls Pride a challenge to the idea that we’re broken and need fixing. His Mormon mother doesn’t feel comfortable attending a parade, and Carson feels equally uncomfortable with the fact that the Mormon Church provided 45% of funding for California’s 2008 anti-marriage ballot measure, Proposition 8. Back in San Francisco, Subhi, a man from Istanbul, says his first Pride in his home country involved violent protestors throwing bottles—the police did nothing to intervene. Now living in San Francisco for the last three years, he feels guilty for having access to a safe, thriving gay culture and yet is repeatedly told that he’s “not gay enough” because he’s still learning about gay culture, its artists and terminology. San Fransisco Pride Community Grand Marshall, Kin Folkz, says, she wants Pride organizational committees to start hiring leadership from the margins. 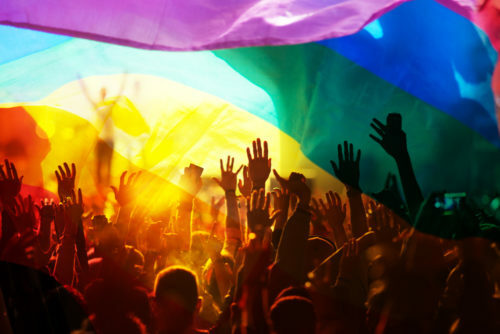 Eventually, Braun wonders whether a Pride event could just consist of a public picnic with 10 people and a rainbow flag, and whether that’s as important as an event with 10,000 people. Either way, he believes Pride will remain as a necessary way to confront oppression and honor our roots.